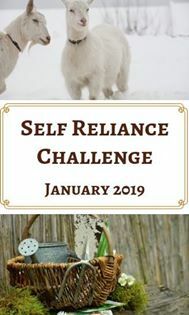 Do you want to expand your garden without needing to put even more work into it each year? Planting a new garden every year is daunting. It takes weeks of preparing and planting to make your dreams come true. Perennial plants can change that. 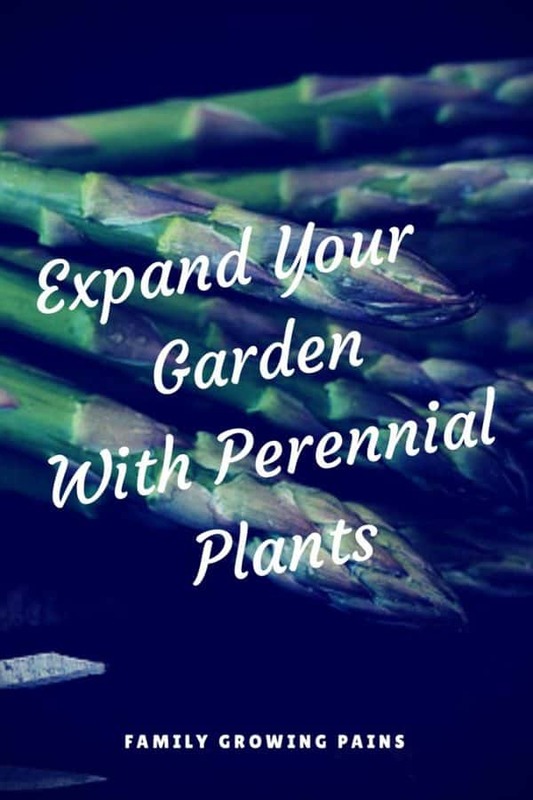 Perennial vegetables and herbs are planted once and harvested year after year. 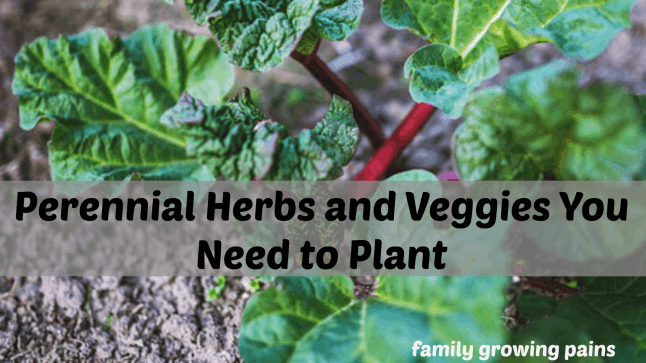 Gardeners rarely plant these vegetables, which is a shame because most are low-maintenance and still provide you with a bountiful harvest. Planting perennial veggies and herbs save you time and money. You don’t have to purchase new plants each year, prepare the garden bed and wait for the seed to germinate. While all of these plants are perennials, they may not be in certain climates and locations. Plants that come back in your zone may not come back in another, so check for compatibility for your location. You can always grow them as an annual plant! Artichokes need to be harvested before it starts to flower. Once the plant blooms, the artichoke is barely edible. You can grow artichokes as a perennial in areas with cool summers and mild winters. As a perennial, you can expect one plant to produce a harvest for five years. That’s impressive! Artichokes are only perennials up to USDA Hardiness Zone 7. If you live in zones 5 and 6, you might be able to provide protection and get them to grow like a perennial. You might consider overwintering them indoors or in a greenhouse. 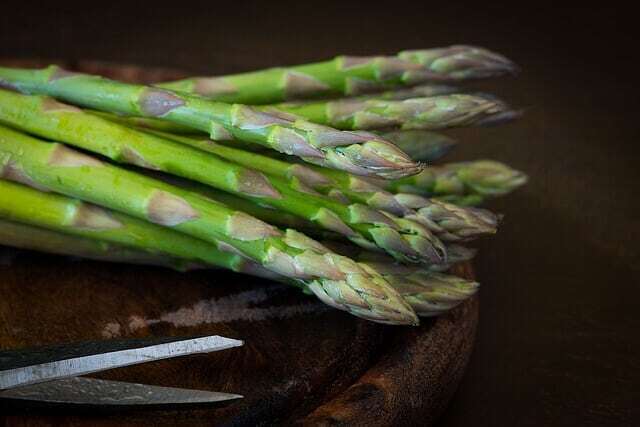 Asparagus requires patience because it might take three years to see a true harvest. If you have the patience to wait for fresh asparagus – a seriously good reason to wait – plant some asparagus in a raised bed. If you live in zones 4 to 9, asparagus grows as a perennial and can produce a harvest for 20 years. One planting can lead to a lot of asparagus! Many Americans are unaware of this European vegetable. It is a spinach relative that needs to be planted in full sun or partial shade. Make sure the soil is moist and well-draining. It is hardy to zone 3. Another forgotten perennial vegetable is the American groundnut. It is also called the Indian potato. While it doesn’t get much attention, groundnut is a great addition to any garden. Groundnut is a perennial vine that grows edible beans and large edible tubers. The vines reach six feet long and need a trellis to grow upwards. You harvest groundnuts in the fall. Then, you leave some in the ground to continue next year’s growth. Jerusalem artichokes are known as sunchokes. The flavor is nutty and similar to artichokes, but sunchokes have a texture similar to potatoes. This vegetable is in the sunflower family and produces beautiful yellow flowers in the fall. Be aware that sunchokes love to spread aggressively in garden beds. You harvest the tubers, so you dig them up to harvest. The tubers left in the ground will grow next year. Rhubarb has a unique flavor that works well in desserts and jams. I added rhubarb to my strawberry jam! Make sure you don’t eat the leaves or roots because they are poisonous. 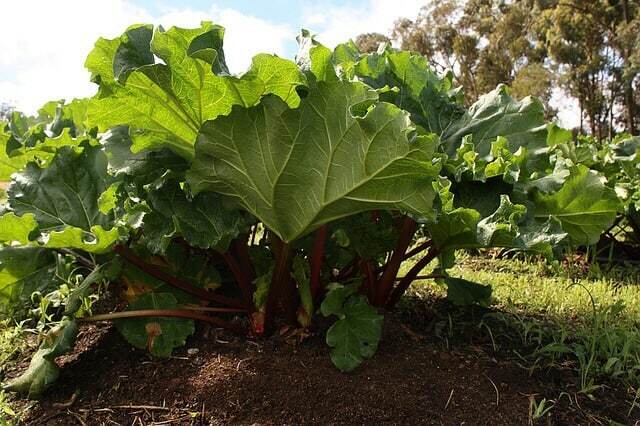 Rhubarb requires full sun and well-draining soil, and you will harvest in the spring. Typically, you plant a rhubarb crown and wait two years or more before harvesting stalks. You might think sea kale is a simple ornamental plant, but it is an edible variety of kale. Kale lovers rejoice! Sea kale grows grey-blue leaves and white flowers. Harvest the shoots when they are around six inches tall. The plant has a unique hazelnut flavor that many people enjoy. It is a perennial up to zone 4, but make sure you plant in full sun. Because of my zone location, I cannot grow basil as perennial, but you can if you live in zones 10 and up. Basil is one of my favorite herbs, especially in our spaghetti sauce or on pizza. 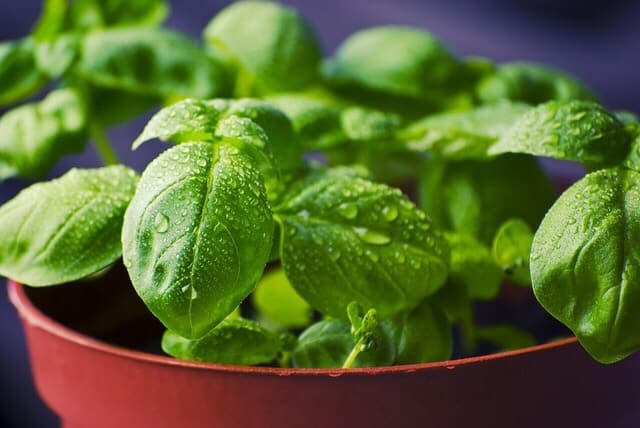 If you don’t live in a warm enough zone to grow basil as a perennial outdoors, consider growing it in containers outside during the summer and moving it indoors throughout the colder months. Chives grow as a perennial in zones 3 to 10. This herb is hardy! You need to plant chives in a location that receives full sun. Make sure you water often to get a bountiful harvest, and remove the flowers before the plant produces seeds. Those of us in northern climates can only enjoy fennel as an annual, but those of you in warmer climates can have fennel as a perennial. You lucky dogs! Throughout the growing season, make sure you water regularly if you want fennel to thrive. Some call horseradish a vegetable, but most people eat horseradish as a condiment. Those who love spiciness must grow it in their garden. The leaves are boring, along with the flowers. The root is where the excitement is! When you plant horseradish, realize that it can be invasive with its growth habits. Remove as much of the roots as possible when you harvest in the fall. Replant enough root sections to grow what you need for the following years. Realize that perennial vegetables take time to establish. You might not see a harvest until the second or third year after planting. You might notice your perennial plants taking over your garden bed. Expect to need to trim back throughout the season. Perennial greens will taste bitter once they flower, just like annuals. Harvest early in the season. Plant separate from your annual crops. Make sure you plant appropriately where you plant your perennials because it is permanent! Perennial veggies are more likely to catch a disease because you cannot practice crop rotation. Incorporate perennials by planting on the border of your annual garden beds. This list is far from exhaustive. There are dozens of perennial herbs and vegetables. Many of them are uncommon in today’s gardens, but they are making a reappearance. Save time and expand your garden by adding a few perennial plants this year. Brilliant ideas, thank you! The only ones I currently grow (aside from the herbs) are asparagus and rhubarb — I’m going to check out the others and see if they’re suitable for my zone. I really hope we found a new home with a garden. I can’t wait to grow my own veggies again! I would love to get more into gardening. Thanks for this info, I will have to research what I can grow in my area. I’ve been thinking about starting a vegetable garden but I have no idea where to start. Thank you for these amazing tips. The fact that I can have a harvest year after year makes all the hard work totally worth it!